We keep our credit card options simple by offering low rates and great benefits on four unique Visas: Rewards, Classic, Student, and Secured. Apply for any of our credit cards using our secure online application or at any of our neighborhood branches. New and replacement EMV chip credit cards are issued on the spot at any Salal branch. This card offers our lowest rate, starting at just 10.24% APR*. Start minimizing your monthly payments and save money with a low-rate, no-fee balance transfer. 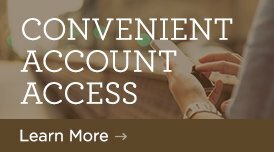 Overdraft protection for your Salal checking account, up to your credit limit. Having a credit card is a big responsibility for a young adult, but it’s an important step in building the good credit you’ll need to secure a car, home, or other type of loan in the future. You need to be between the ages of 18 and 23 to apply. If you are 18 to 20 years old, you may need a co-applicant who is at least 21 years old, unless you can prove an income of at least $3,000 a year or the ability to repay debt. This is our stepping stone for people who may have a hard time qualifying for one of our other Visa cards and is meant to help build or re-establish credit. To open a Secured Visa, you’ll need a Salal savings or Premium Plus Money Market account with a minimum deposit of $550. Your credit limit is determined by the amount of your deposit with 110% cash required as collateral. For example, a $550 deposit will give you a credit limit of $500. As you use your card, your savings will continue to earn dividends, and your interest rate stays fixed at 18% APR. Consistent monthly payments and staying within your credit limit will help you get closer to being eligible for a Salal Rewards or Classic Visa. VIEW RATE AND FEE INFORMATION. *Variable Annual Percentage Rate (APR) between 12.24% to 15.74% for our Rewards card and 10.24% to 17.99% for our Classic card. APR is determined when you open your account and is based upon your creditworthiness. After that, your APR will vary with the market based on the Prime Rate. Initial APR of 15.50% for our Student Visa; however, your APR will vary with the market based on the Prime Rate. Fixed APR of 18% on our Secured card. Foreign Transaction Fee of 3% of each transaction in U.S. dollars for the Classic, Student, and Secured cards, and a Foreign Transaction Fee of 1% of each transaction for the Rewards card. Information on all cards is current as of January 16, 2019 and is subject to change without notice.